The Polish government ordered a threefold increase of logging operations in Bialowieza Forest in 2016. The government allowed harvesters to cut down 188.000 cubic meters of wood in the Natura 2000 site. Supposedly, the increased logging was there to control the outbreak of damaging bark beetles. Also, the government would minimise the risk of forest fire this way. However, the European Commission, UNESCO and scientists believe these were excuses for commercial logging of the valuable old-growth forest. In response, the EU Court of Justice ordered a direct ban on all logging operations in Bialowieza Forest. It stated that all harvesters and chainsaws had to leave the site in July. However, Poland openly admitted to ignore the EU Court’s ruling. The European Commission requested the EU Court of Justice to fine the Polish government for their actions. In November, the Court threatened Poland with a daily fine of €100.000,- if illegal logging continued. The Polish government stopped the logging operations immediately, supposedly because of successful measured against the bark beetle. Many managers tend to still believe that European nature needs our help and so active management has to stay a common management approach in all spectrum of IUCN categories of protected areas. But the story continues, as the Advocate General of the EU Court of Justice declared this week, that the Polish logging operations were illegal. Ignoring the Court’s order, seems to finally have its consequences. The Advocate General Yves Bot states that the Polish government has failed to fulfil the obligations for the signed Habitats Directive and Bird Directive, which include the Bialowieza Forest. The Advocate General considers, in the first place, that Poland has not implemented the necessary measures for the conservation of the Natura 2000 Puszcza Białowieska site. […] In the second place, after noting that it had also been argued that the measures at issue represented a plan or project not directly connected with or necessary to the management of the Natura 2000 site within the meaning of the Habitats Directive, the Advocate General recalls that if such a plan or project is likely to have a significant effect on the site, it must first be the subject of an appropriate assessment of its implications for the protected site, so that it can then be authorised if it does not adversely affect the integrity of the site. states the Court of Justice of the European Union press release. The Advocate’s opinion is non-binding, and preliminary to the final decision from the Court of Justice. The Court will make this final decision within the next weeks. The Polish government has confirmed it will abide the final judgement of the Court. However, the Polish government still claims that all actions were in the best interest to keep the forest in its best shape for the current and future generations. The NGO ClientEarth expects that Poland will face charges for neglecting required impact assessments on site, and failed to protect rare and endanger forest inhabitants. Poland is not the only country that is increasing its logging operations. 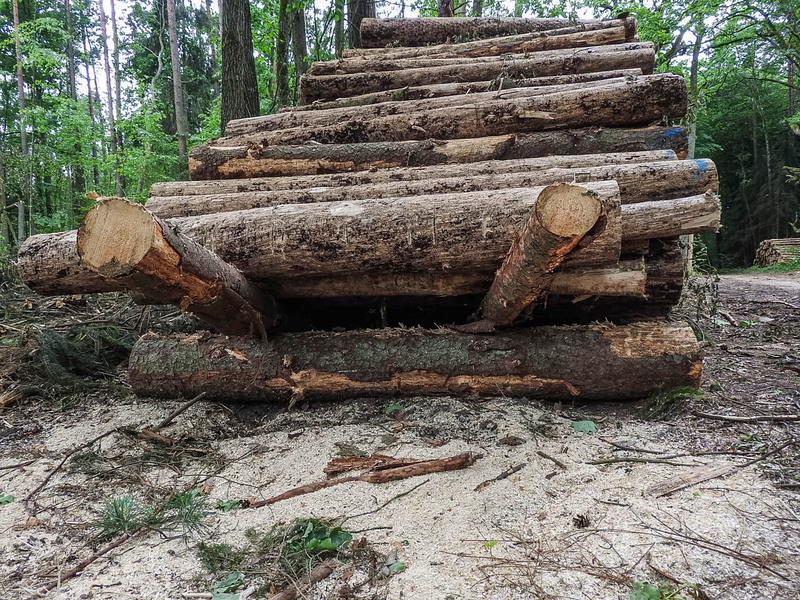 A special report on sanitary logging in Romania revealed commercial logging operations instead. Furthermore, the Estonian government took decisions recently that will heavily impact and threaten the Estonian forests. Logging of commercial forests is fully legal and regulated, but higher demands lead to creative illegal actions to harvest timber from protect areas.